Arrive Shanghai airport and transfer directly from the airport to Hangzhou by road. Stay two nights at the West Lake Golden Plaza Hotel. 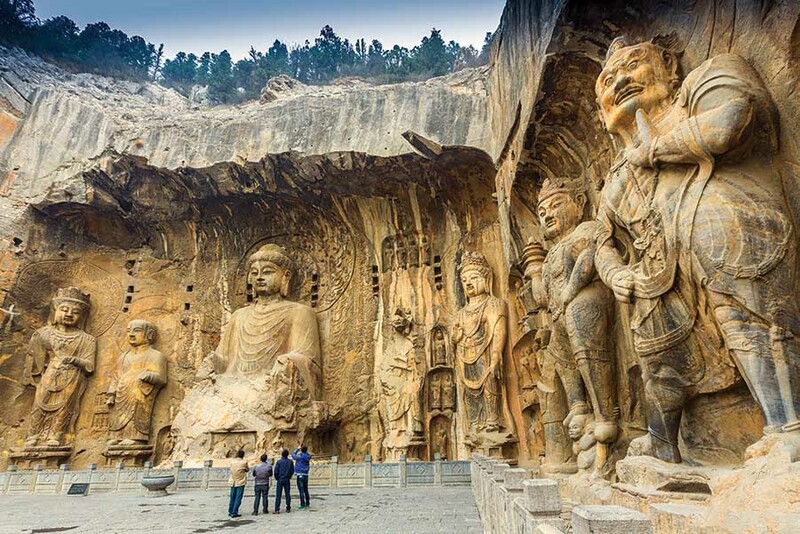 Remaining in Shaanxi Province, travel by road to Yan’an (310 Kms, 4 hrs). See thundering Hukou Waterfall on the Yellow River en route. Visit Yellow Emperor Mausoleum, the burial place of the first king of China, who, legend has it, was the ancestor of all Chinese. Generations of emperors made offerings to the Yellow Emperor, the earliest recorded at this location began in 442 BC. The surrounding scenic area contains cypress trees that are over a thousand years old. 16 nights in quality, well located 4 star hotels. Tour prices and inclusions based on a minimum of 2 passengers. A surcharge will apply during the Luoyang Peony Festival (01Apr-05May) and may apply during other local holidays and festivals.